If you need help now call 911 or click HERE! 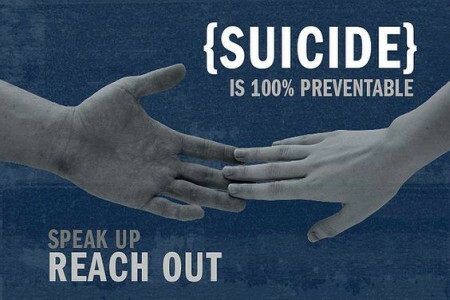 Reach out to those who suffer from a mental illness and help them to understand suicide is NEVER the answer. There is a stigma about mental illness and it must stop. Depression is a real, treatable brain illness, and it has taken too many lives! This website has been created to give you insight into depression and all issues that can go along with this illness. Here, you can feel free to educate yourself or chat with others on the message boards where they are going through the same or similar things you are. This website is not intended as a replacement to any form of professional medical treatment you might be receiving. While it may help you feel better to talk to others about your problems it is not meant to be a substitute for professional counseling. As the owner of this site I am in no way held responsible for your actions. To read my complete disclaimer click here. There are many reasons I never stop working on this website. "Thank you for your website...I cried the whole time reading it and I still cannot stop the tears. And...thank you once again for opening up and letting God work through you in this website. I can see where It has touched many lives. You will definitely be in my prayers Julie." There is also a young man whom I had the privilege to know for three years. He took his own life at the age of 21. His father beat him and sexually abused him for a number of years. He called me "Mom." The day he died, was one of the hardest days of my life. Everything I type or read there are thoughts of him and wishing to God that he was still here.